Angel in the Sickroom: Payday! My Favorite Day! Yeay! Today was payday at one of my 2 jobs. It's actually not that big but at least I have money right? I can't wait for my payday at my other job, maybe this friday. But I guess I won't be saving much this week because I have to pay my credit card bill. I know, I know... I said that i would stop spending and start saving. But what can I do? David Archuleta made me buy an Ipod Touch. Well he didn't told me to buy an Ipod, it's just that I can't play his album that I bought from iTunes on my Walkman Phone so I decided to buy an iPod. I wasn't going to buy an iPod Touch but if I was going to buy one, I might as well buy a good one right? 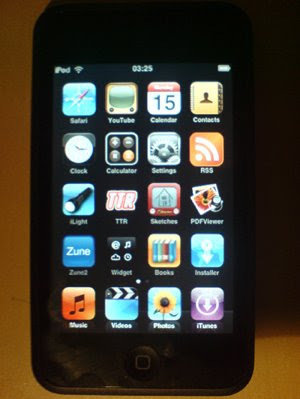 I really love my iPod but I'm thinking of buying another one that's 32 GB because the one I have right now is 8 GB only. But I really don't need that much space and I really need to save up for my school next year. Speaking of school, my friend from the Philippines who I have asked to follow-up on my school documents have e-mailed me saying that we are close to our goal. There might be delays but the guy that I've talked with from the International Office of the Registrar at my future University (hopefully) said that being late for a week is ok since I've applied for the Fall term 2009 which of course is still a year way. So this is all of my "new stuff" that's happening to me right now. So later days!